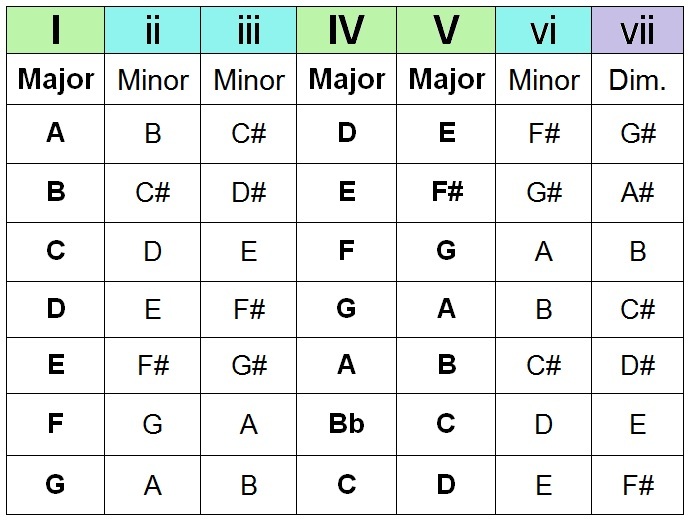 Using chord numbers is a great and simple way to learn and remember songs. My intention here is to list songs in certain chord sequences. The point being, to help you learn thousands of songs, therefore, developing a collection of songs you will easily remember for gigging or busking. If you would like to contribute any songs to this list, please send them to me by email or by the social network of your choice. Last Christmas D (in this song, the IV is replaced with it's relative minor, therefore becomes Em). Poetry in Motion, G (in this song, the IV is replaced with it's relative minor, therefore becomes Am). Blitzkrieg Bop, A (Changes at the end of the verse, and for the chorus).